Walk-around of J47 engine nacelle on the port wing. 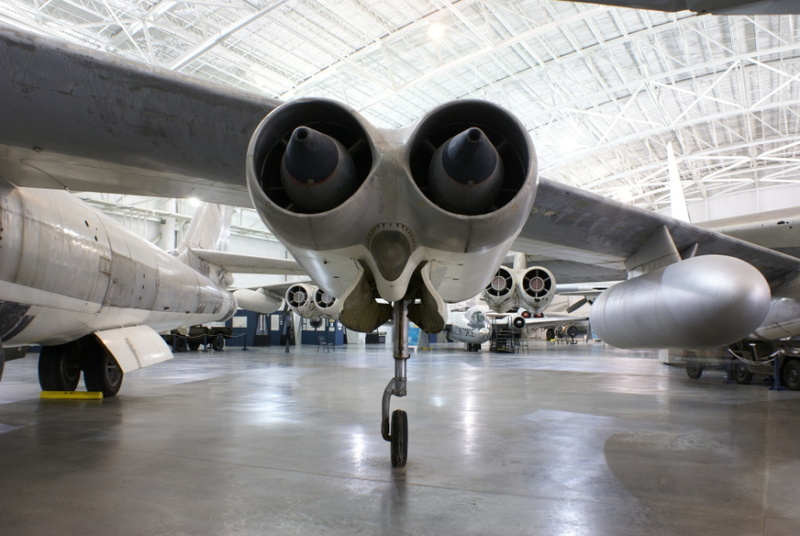 Note one of the aircraft landing lights mounted in the nacelle between the two engines. Nearly-identical J47 nacelles were added to later models of the B-36 bomber, modified to omit the landing gear and to run on the same fuel as the B-36's piston engines.